Purchase tickets for the 2019 Gridiron here. The Pennsylvania Legislative Correspondents' Association is a nonprofit that advances free and responsible journalism while representing those reporting on Pennsylvania government from the State Capitol and fostering the next generation of journalists through summer internships. Apply for the the 2019 spring-summer internship session. See our centuries-old history and membership. Pennsylvania's off-the-record, off-color political comedy show that helps fund PLCA's summer journalism internships for students. The 88th Gridiron political comedy will be held May 6, 2019, at the Harrisburg Hilton. The Pennsylvania Capitol Complex on Commonwealth Avenue. Gov. 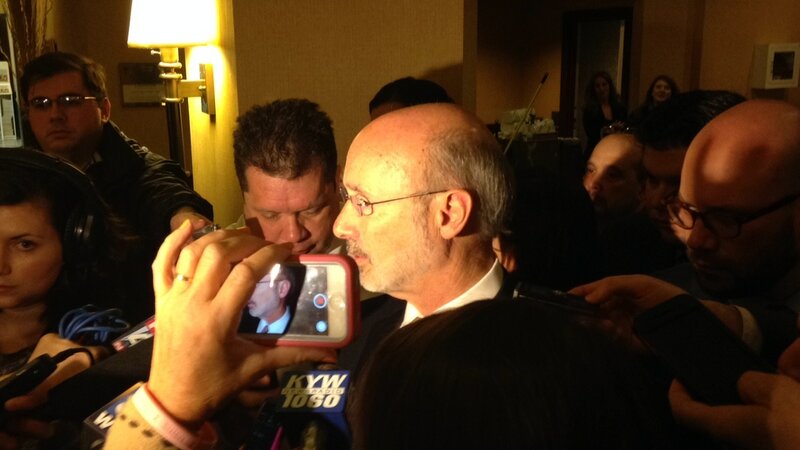 Tom Wolf surrounded by reporters.